The government shutdown has reached day 27 with no resolution in sight. Experts are forecasting it will be February before there is an agreement to get back up and running. While 6% of TSA agents are still calling in, security screening is reporting “normal” wait times. However, it is still recommended to allow 2 to 3 hours due to terminal closures in major airports. 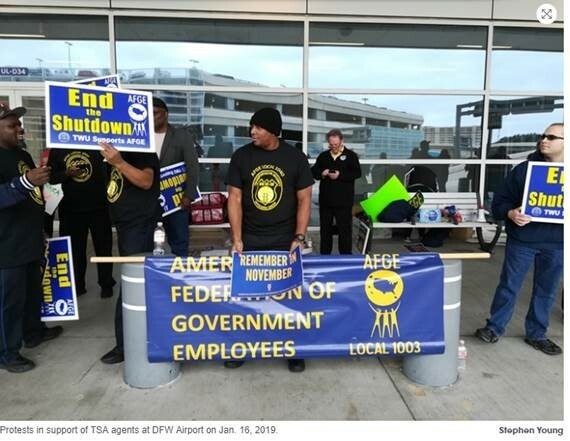 TSA agents are hosting rallies and protesting outside airports throughout the country. DFW airport in Dallas Texas reported protesters, and a silent march is planned for Hawaii’s Honolulu airport this week. With rising tensions, no income, and the fear of not being able to pay bills, an increase in protests will be seen in the coming weeks in major cities such as Houston, Chicago, and Washington D.C.
A full TSA statement on checkpoint operations and wait times is attached. The CBP will continue to remain staffed, however delays are expected. Your local Inchcape offices will continue to facilitate all necessary arrangements with CBP in regards to customs regulations within the port.